One of the most difficult step that I encountered installing the new shifter is the shift cable retaining clips. The factory plastic cable cassette has straight sides so all you have to do is slide them in or out vertically. Not so with the steel cable cassette of the CoolerWorx shifter. The metal cassette edges are folded for the bottom cover to screw onto. You have to install these two spring steel retaining clips by sliding them in sideways in the very confined space. One thing that worried me is the thickness of the two cable ports. With aftermarket product you just never know as the tolerance can be poor. It turns out the thickness (built up with two steel metal rings welded to the box) is very accurate. It would be a real drag if they are too thick as it will require the shifter to be removed and ground down. At first I could not get the spring clips to slide into the slots with all my might. I decided to not use the thin fabric gaskets as no water should ever make it to the cables. The gaskets are may be 0.3mm thick. I was just able to slide the clips in without the gaskets with the aid of a pair of Channelock pliers. Before re-installing the heat shields and the exhaust pipe I verified the location of all the gears including the reverse. I had a hard time finding the reverse as I didn't realize it take a lot of force to pull it left to overcome the detente. Because of the additional spring of the CoolerWorx the effort is increase and I just didn't pull it hard enough. One big discovery is I would realize that I can utilize the cable cassette of the CoolerWorx to bring the cable harness of the wide band sensor from the cockpit to the header. It would be protected from the elements being behind the heat shield. One thing that I dread is the increased thickness of the shifter's cable cassette may require modifying the heat shield. It turns out that was not necessary. I managed to re-install all the heat shields back to the exact location from the factory. The remaining mechanical work is to install the shifter stops. There are two screws that restrain the lateral movements for the forward gears, and one screw for the reverse gear's lateral movements. The new shifter will take some time to get used to. In my unbiased first assessment it does not come near how good the shifter in the Porsche GT4 feels. Like another owner pointed out, the lateral centering spring in the CoolerWorx shifter is too strong since there is already one in the Getrag gearbox. This is my one single biggest criticism. The machined knurling on the shift knob feel quite nice. Switching from the big stock knob to this cold machined aluminum one take some getting used to. The shift knob height, in my opinion can be 2 inches lower to be more natural. Surprisingly, without the rubber vibration isolators even without the plastic console and the shifter boot re-installed yet there is no objectionable noise or vibration. I actually like that you can hear the gearbox a little bit whine more. I too notice the lateral flexing of the shifter structure especially pulling sideways to shift into reverse. CoolerWorx cut out too much sheet metal to have that all-business racing look. In all the mechanical installation is quite straight forward. You do have to pop out the lower ball joint of the the small arm to be able to get the shifter through the floor opening. I didn't encounter any alignment issues with any fasteners which often happen with aftermarket performance products like this. 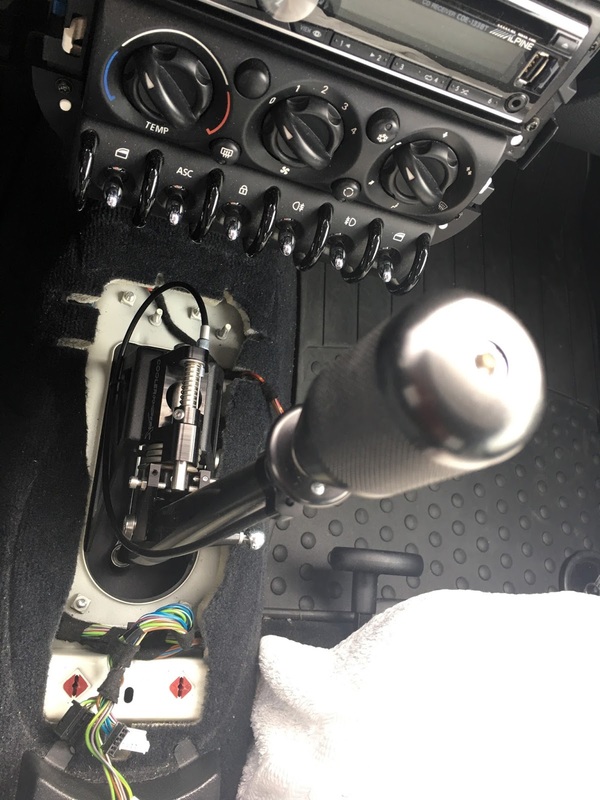 I am deferring tackling the plastic console until I am totally satisfy with the shifter and that it is a definite improvement over the stock shifter. I have to say the stock shifter is pretty damn good given it is mostly plastic. 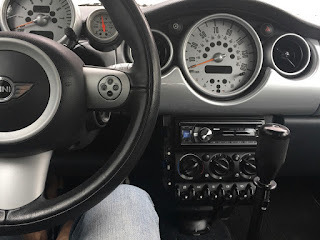 I have taken a few test drives and slowly getting used to the different feels of the shifter. Only with time will tell.